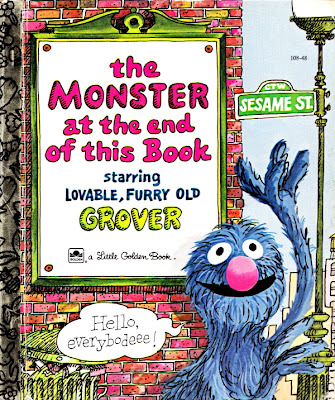 The Monster at the End of This Book is a classic Little Golden Book first published in 1971. It was one of Kim's very favourite books as a kid so a few years ago we tracked down a second-hand copy for our kids. It's a clever little book about Gover's fears of a monster lurking at the end. 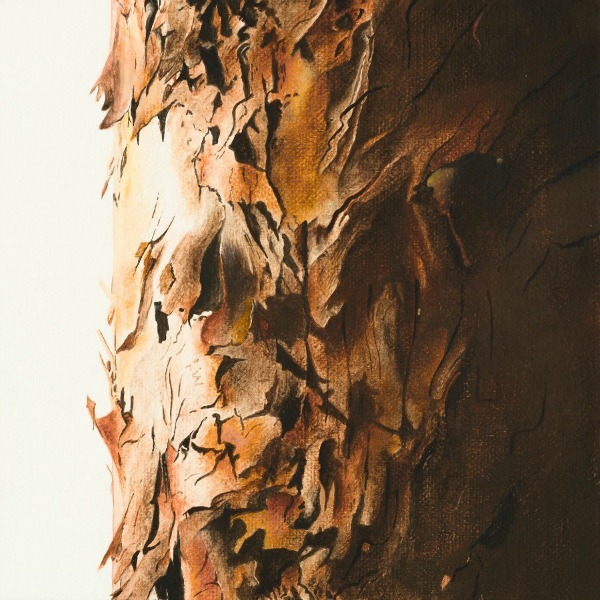 Throughout the story Grover pleads with the reader not to turn the page, using every trick he can think of: tying knots across the page, nailing planks to the page and building a brick wall to prevent the reader from going on. Grover needn't have worried though, because when he gets to the end the monster turns out to be (spoiler alert, haha!)...himself! It's a fun book full of humour and suspense and so when we got an iPad a while back it was one of the first apps I bought for Missy P. And let me tell you, it was a hit. 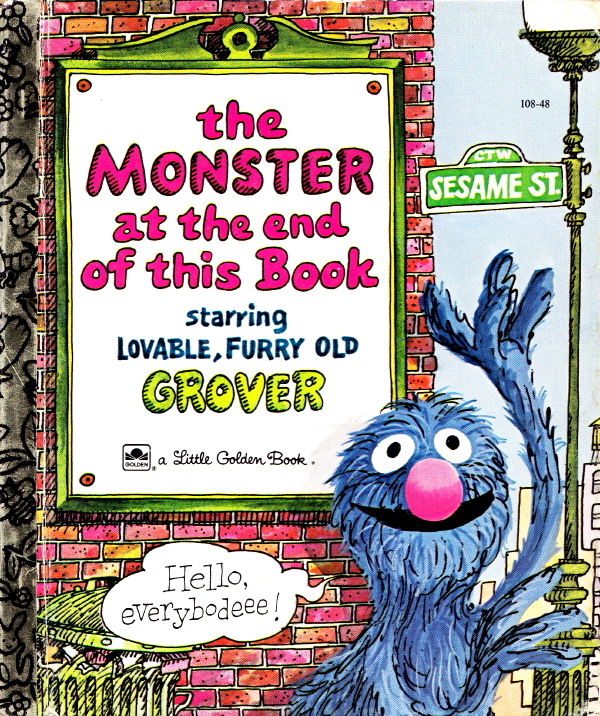 Because the story is in the first person already - Grover's point of view - it's read out in Grover's own infectious and endearing voice. The words are also subtly highlighted as they're read out, which is great for the pre-reader or child just learning to read. But the most appealing thing about this app is that it's animated in a really dynamic way - it's not just the book being read aloud. It's full of great interactive elements like tapping the knots to untie them, tapping the nails to break down the planks Grover has constructed and tapping the bricks to knock holes in the wall to the point where it collapses in a satisfying cloud of dust. I’m going to go out on a limb here and say something a bit controversial. Okay, here goes. 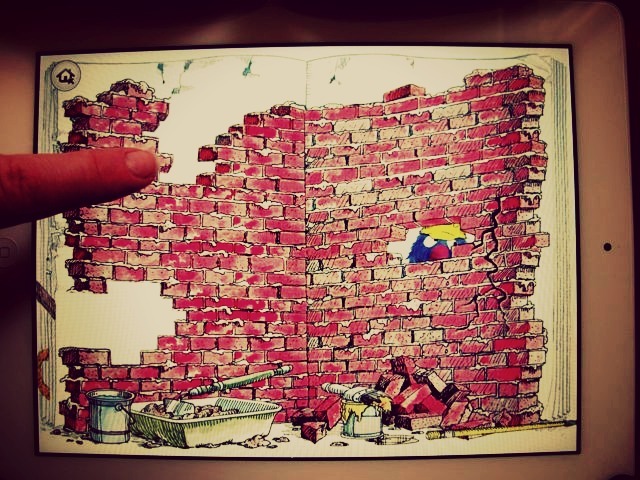 I think the app version of this book is better than the classic book version. It’s interactive, it’s engaging, it’s fun and it’s more-ish. However, in the absence of the app version, the book is also all of these things. It’s a great book. You couldn’t make a great app out of a terrible book (or maybe you could, what do I know?). But the app just adds so many fun and clever elements that it enhances the original for sure. 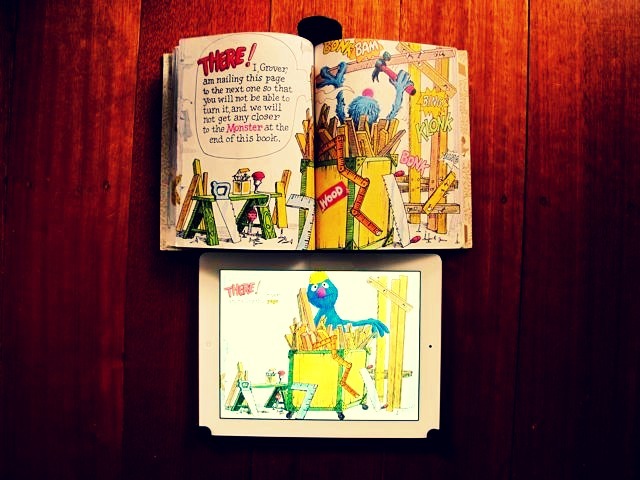 I’m not saying that every app version of a picture book is going to be better than the book itself though. We bought an app of a very famous, classic, much-loved book and the app was terrible - boring, repetitive and with nothing new to add. We never use it. A big disappointment. But this app in particular is a great example of what's amazing about new media - the way it can be so interactive and intuitive and just plain fun. Don't get me wrong, I'm not about to swap reading real books to my kids for their electronic versions. But anything that makes reading fun is okay by me - although it's no substitute for curling up together at bedtime to read an old-fashioned paper book. That's the real fun. 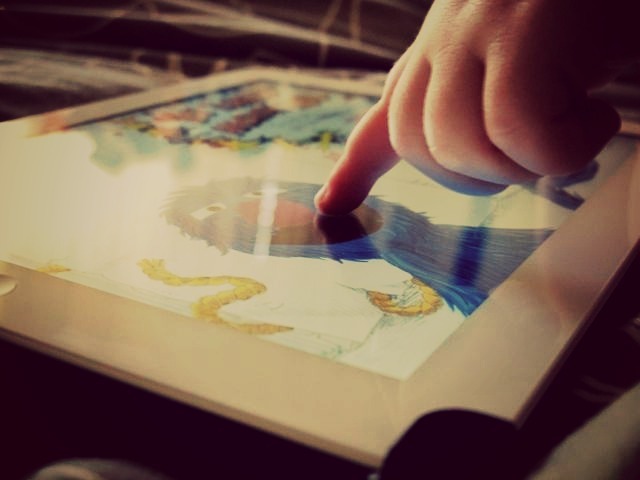 I'm still looking for children's picture book apps as good as this one though. I've had a few fails. If anyone has any recommendations, they'd be most welcome! 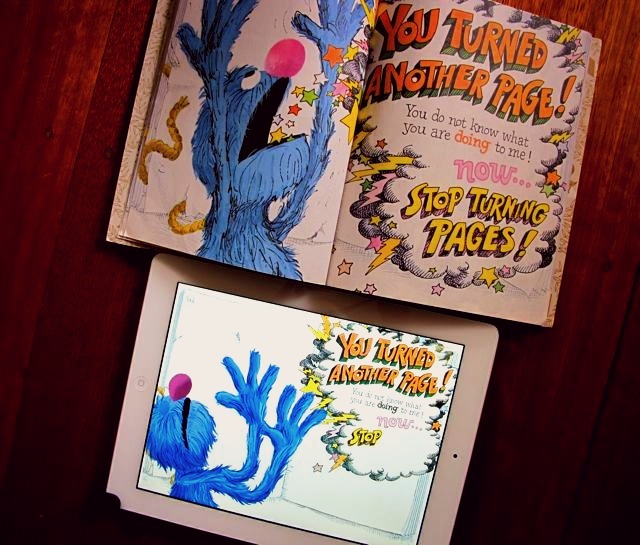 The Monster at the end of This Book...starring Grover is available from the iTunes App Store.